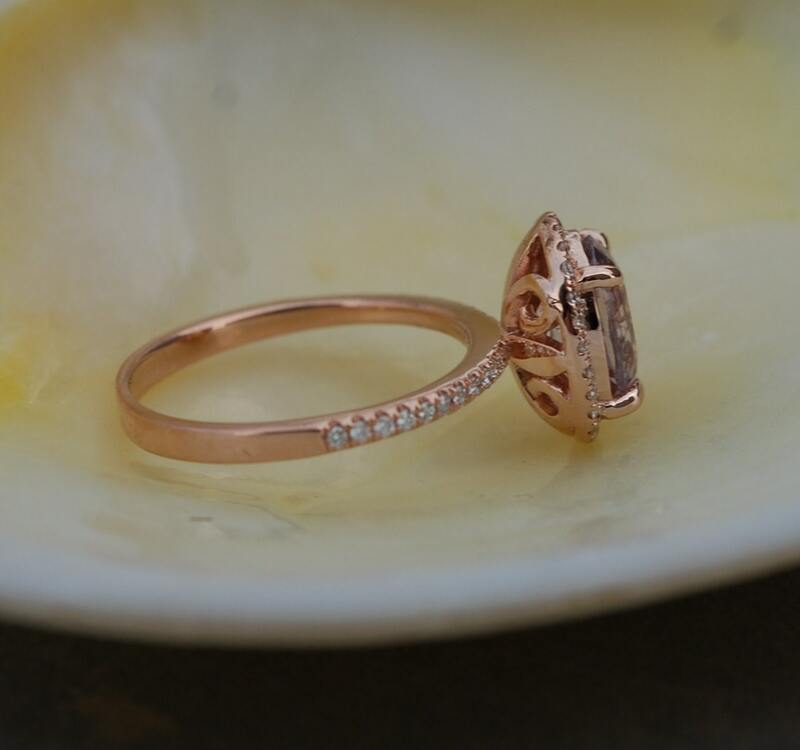 Rose gold engagement ring with Peach sapphire. Grey Sapphire Engagement Ring. 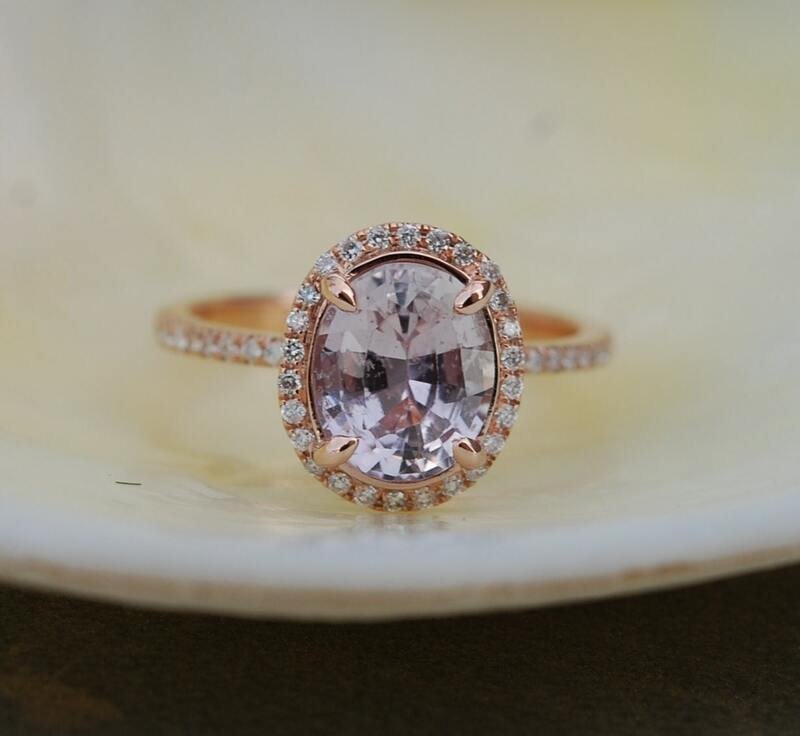 This ring features a 2.54ct oval sapphire, SI. The stone is unbelievable - clear and beautiful. It is a natural non-treated stone, very rare. The color is light grey with smokey peach overtone. 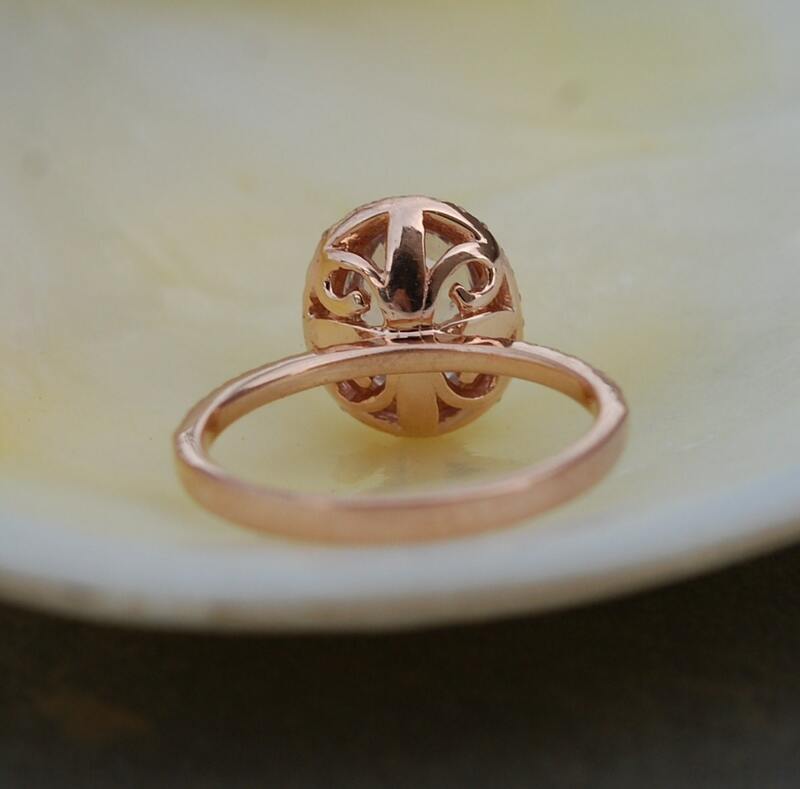 Very pretty and unique ring! Size 6, we resize for free. 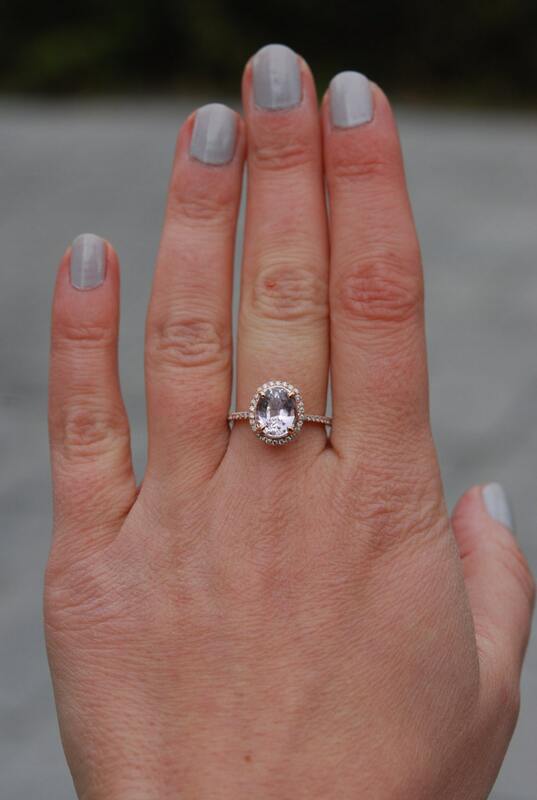 Not only was my ring shipped in a very timely manner, when I received it, it was complete perfection! Even more beautiful in person. Thank you Eidelprecious!